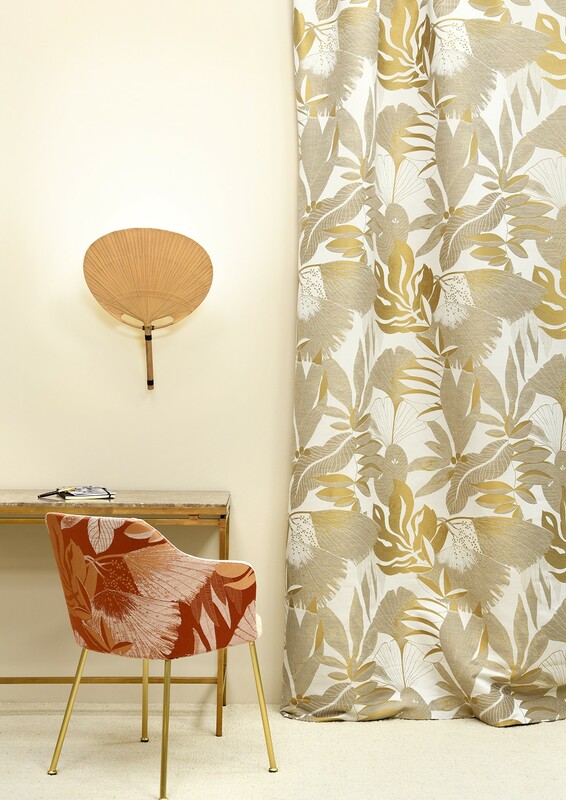 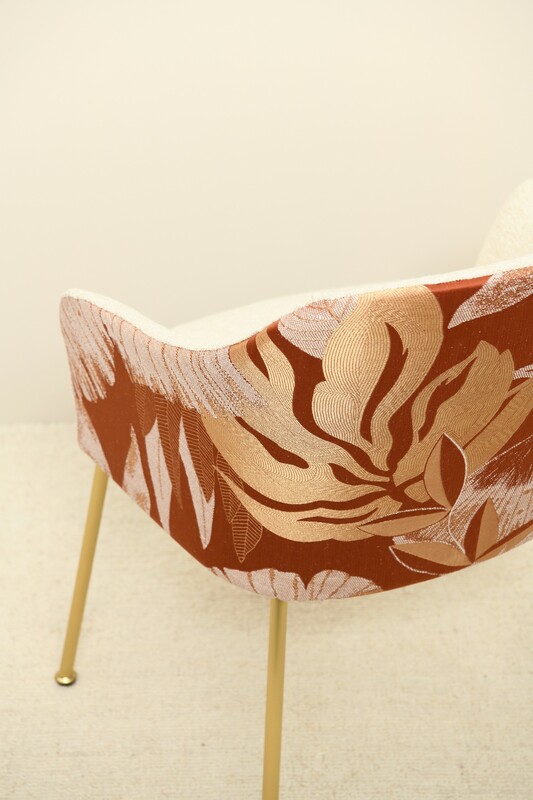 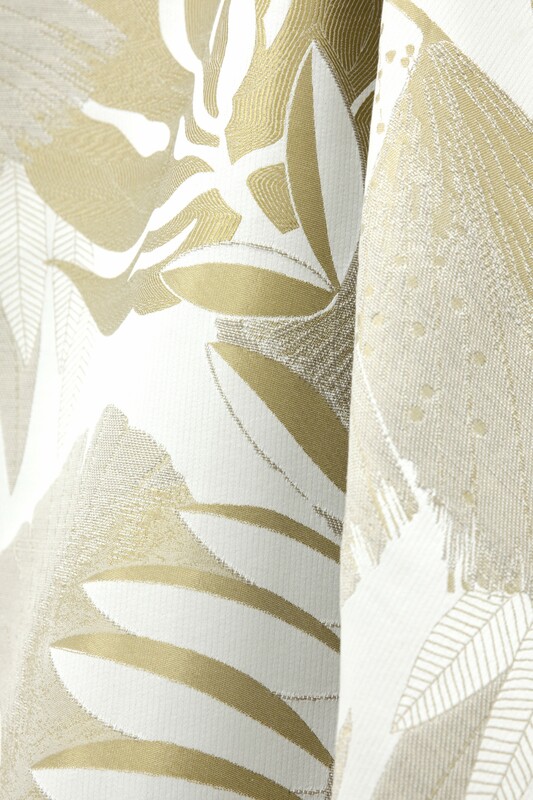 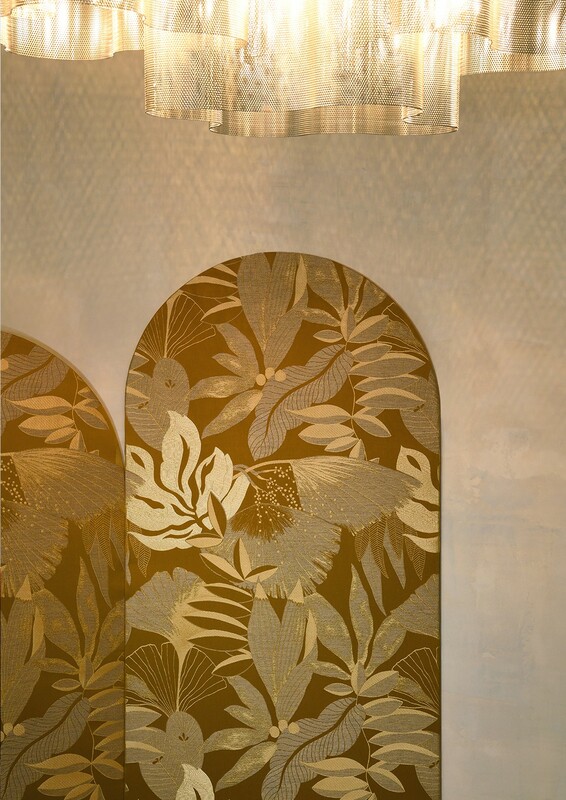 A majestic show of foliage with understated graphic lines featuring on a jacquard with a coloured cotton warp. 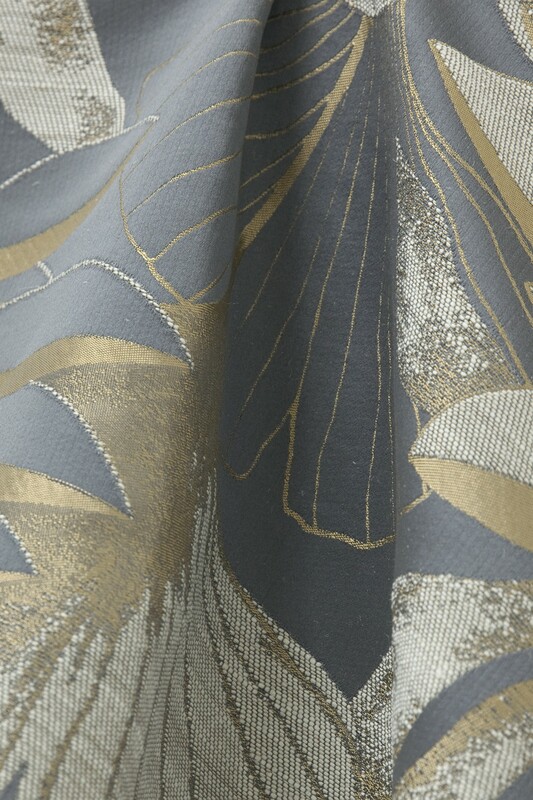 Wonderfully luminous viscose threads with metallic shimmer blend with a raw, fibrous jute thread on the weft to give this fabric character and contrast. 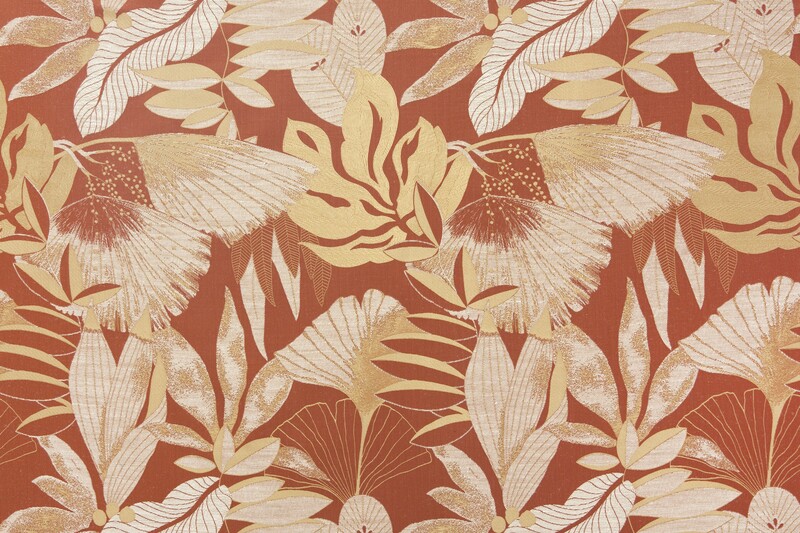 Ideal for curtains, walling and accessories.